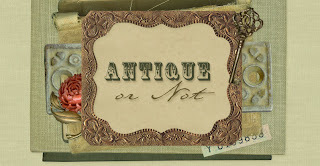 Antique or Not: Looking for our online store? If you reached this blog through a Google search or through Pinterest, expecting to find an online shop, you didn't make a mistake. Things have just changed. This blog was originally begun to publicize our antiques and primitives shop, Antique or Not, in Indian Trail, North Carolina. We closed the shop in April 2009 so that we could retire and move to Idaho. Although all of the furniture and many of the small items from our antiques shop in North Carolina were sold when the shop closed, a lot was left over. So we packed it up and moved it with us to Idaho, and maintained a website at www.antiqueornot.net where some of our remaining inventory was offered for sale. NOTE: I don't offer an appraisal service, and can't estimate the value of items you may own.